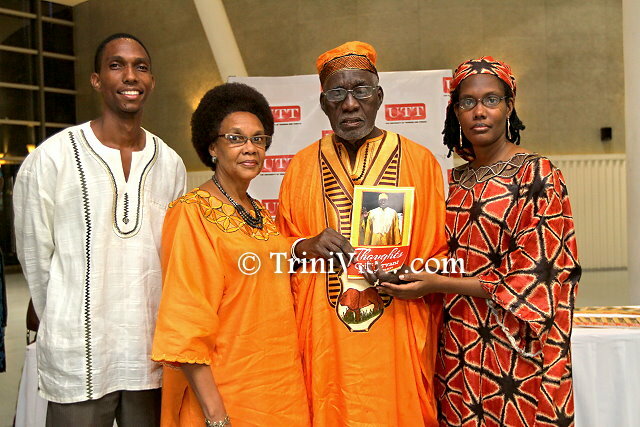 On the Thursday 26th February, 2015, the University of Trinidad and Tobago (UTT) and the Caribbean Institute of Information and Research (CIIR) hosted the book launch of Makemba Kunle’s “Thoughts of Chief Servant Makandal Daaga” at the National Academy for the Performing Arts (NAPA), Port of Spain. Present at the event were Her Excellency Fidelia Graand-Galon, Ambassador Extraordinary and Plenipotentiary, Republic of Suriname to Trinidad and Tobago, High Commissioner for South Africa, High Commissioner for the Republic of South Africa to Trinidad and Tobago, Her Excellency Maureen Isabella Modiselle, Minister in the Ministry of Works and Infrastructure Senator the Honorable Kwasi Mutema, head of the Caribbean Institute of Information and Research, Moriba Kwamina, president of the National Joint Action Committee (NJAC), Aiyegoro Ome and other members of NJAC. The national anthem was sung by Ife Alleyne followed by an invocation by Noble Khan. 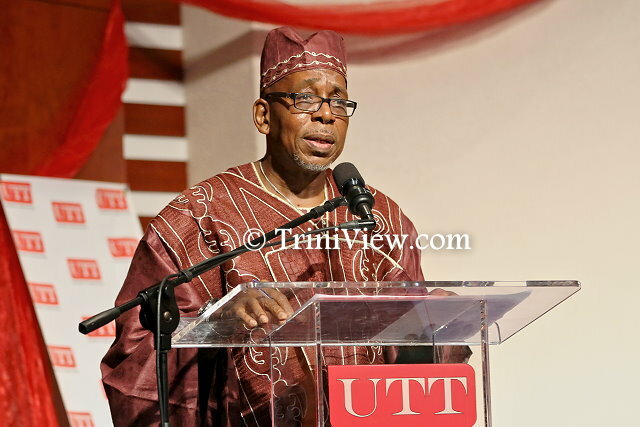 The chairperson for the evening Jawara Mobota shared that this date commemorated forty-five years since the formation of NJAC and it was a day of reflection, remembrance and re-dedication of the events of the 1970’s. The evening began with five minutes of inspirational drumming by the Togetherness Drummers. Drumming was an important part of meetings and addresses given in the 1970’s. 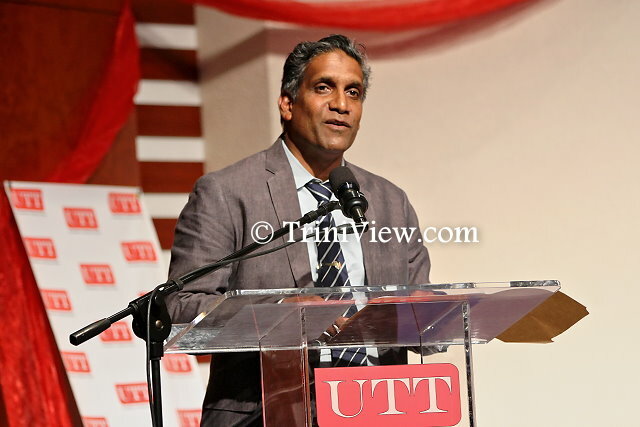 The welcome address was given by Dr. Fazal Ali, senior vice president and provost of the University of Trinidad and Tobago (UTT). He stressed the importance of history and keeping cultural and historical information documented. 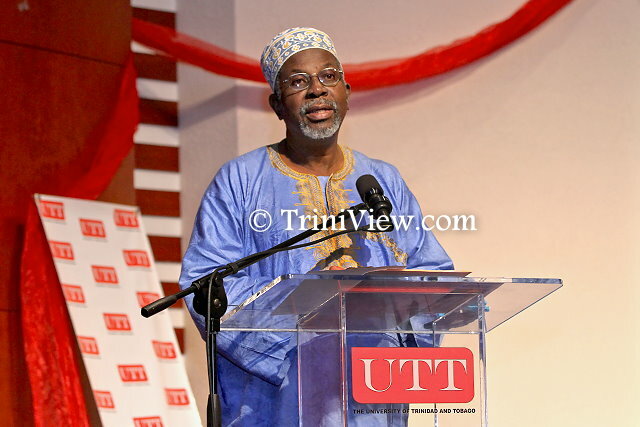 To this end, Dr. Ali announced that there would be copies of “Thoughts of Chief Servant Makandal Daaga” available in libraries at all UTT campuses. 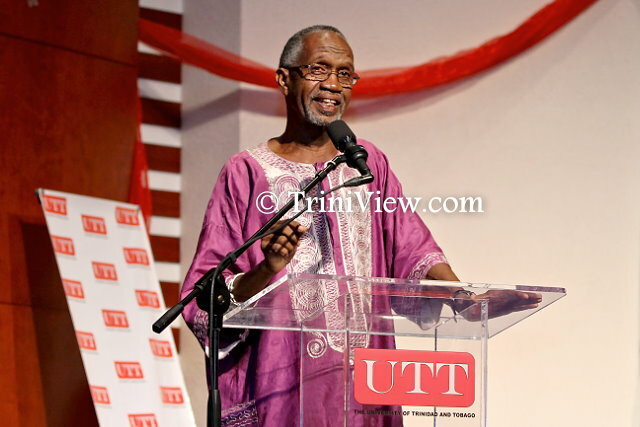 Mr. Michael Chevy, member of staff at UTT read excerpts from Makemba Kunle’s book. He shared the “Ten requirements for building a great organization”: pride, humility, discipline, knowledge, faith, understanding, power, selflessness, destiny and love. 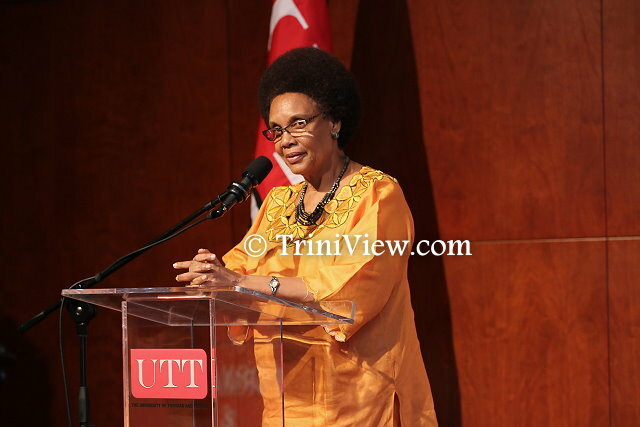 Mrs. Liseli Daaga, president of the Butler Institute of Lifelong Learning and wife of Chief Servant Makandal Daaga, also addressed the audience. She re-emphasized the significance of the date and recalled the formation of the organization. Thanks were extended on behalf of their family to Makemba for showing another side of Makandal Daaga’s personality and another side of the organization. She stated that through the book the social aims along with the spiritual reflections of the organization are made known. Mrs. Daaga also expressed the pride she felt for what the organization had done for womanhood stating, “We steered the women in a new way … we steered the society in a new way, so more was looked upon where the woman was concerned.” Daaga also addressed issues around women in politics, women empowerment and the strides made by women in breaking the glass ceiling. The book, she concluded, would not only show what the organization is really about but would also give people a different outlook on life itself. Following was an address given by Makemba Kunle who reflected on his interactions and meetings with Makandal Daaga. 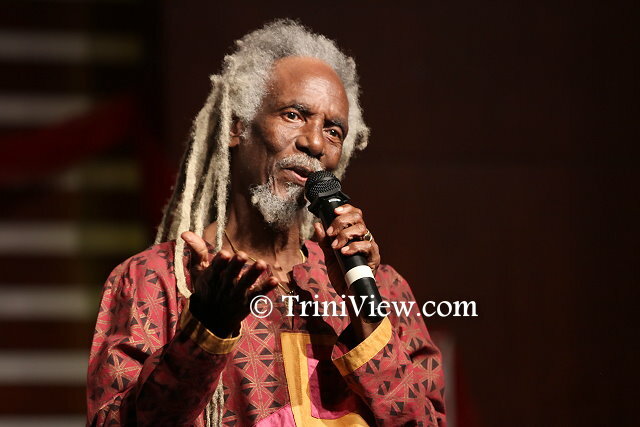 He shared with the audience the story of him attending an event where Daaga was a speaker and wishing he had recorded or taken note of what he was saying. From that point onwards, he took notes of Makandal Daaga’s speeches during his intimate sessions which, among other things demonstrated Daaga’s interest and dedication to the masses. The book is a collection of these notes taken. At the end of his address he made a presentation of the book to Makandal Dagga. The head of the CIIR, Moriba Kwamina gave a brief address, following the theme of the evening which was one of reflection but also added that it was an evening of thanks. He expressed thanks not only to Makandal Daaga but also to Makemba for keeping a record of these thoughts and making it public. “I think he has done this nation and not just the chief servant a great service and I publicly want to thank him” said Kwamina. Political leader of NJAC and Minister in the Ministry of Works and Infrastructure, Senator Kwasi Mutema gave the final address of the night. He reiterated the importance of history and reflection. 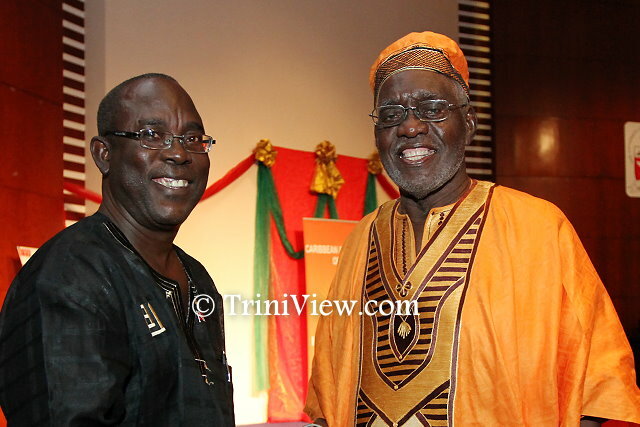 He described Daaga as being a true patriot and thanked him for being an inspiration for all these years. At the end of his address, he also made a presentation to Makandal Daaga. The evening also featured a pan solo by Akil George, student of the New Butler Associate Collage who played Bob Marley’s “No woman, No cry” on the double tenor, Caryn Mc Carthy who performed a calypso titled “Daaga, My Hero” and an Indian dance by the Vikash School of Dance. Brother Valentino, ended the entertainment performing two of his songs: “The roaring 70’s” which he said was inspired by Makandal Daaga and the events of the 1970’s and “No revolution”. 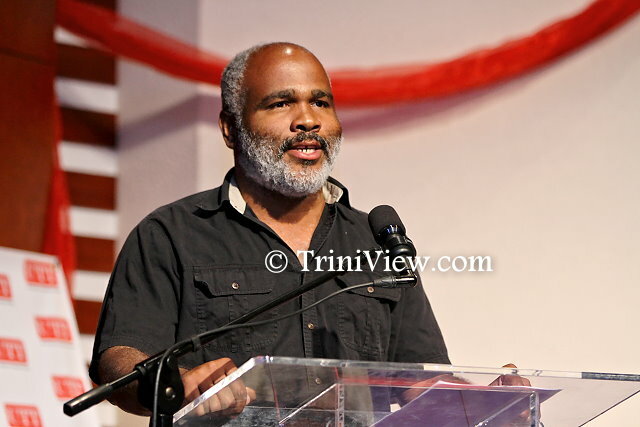 The 1970’s was a significant era in the history of Trinidad and Tobago with the Black Power movement challenging the then existing social structure. 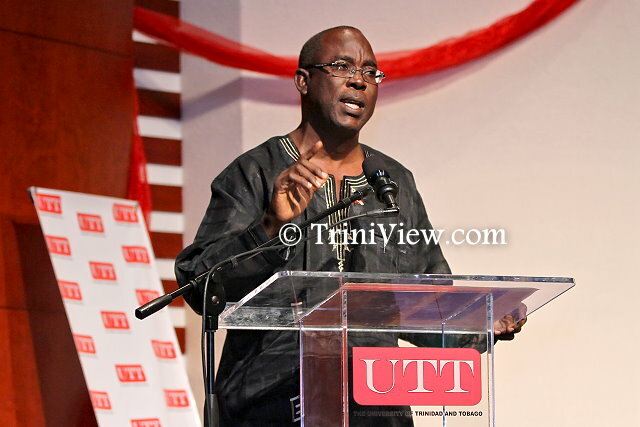 The demonstrations, which included mass marches and protests, sent a message to the leaders of Trinidad and Tobago about the dissatisfaction of the masses given the failure in the post-independence era to achieve equality and social development. The 1970’s also saw the rise of ideas and discussions about African identity, racism and the need to address African-Indian race relations. 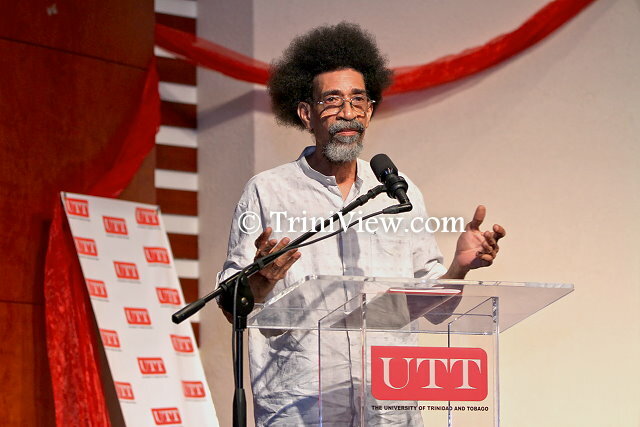 The 1970’s was also an era of new ideas about national development that had an impact on the policies on the political administration, despite the Eric Williams-led government jailing many of the Black Power leaders. This impact led to the nationalization of major industries such as telecommunications and petroleum and the creation of new social programmes.